This is a lip gloss with glitter and a shiny finish! Thanks to the unique formula, you can easily apply this lip gloss and do not stick it! 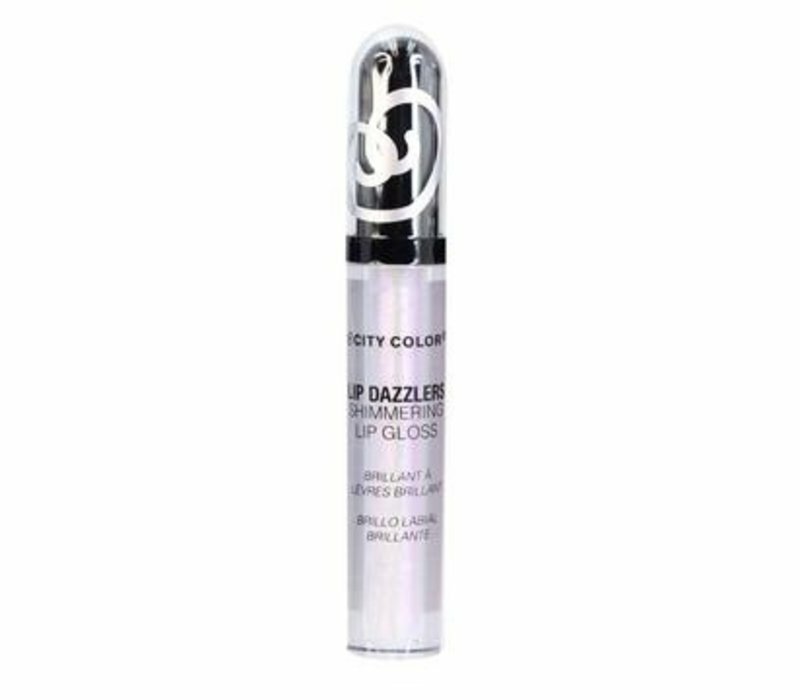 City Color Lip Dazzlers Shimmering Lip Gloss Pearlclear is a lip gloss with glitter and a shiny finish! Thanks to the unique formula, you can easily apply this lip gloss and it does not stick. This lip gloss is infused with argan oil and therefore extremely soft for your lips. Apply this lip gloss easily with the aid of the applicator and enjoy a dazzling look! Apply the lip gloss using the applicator. Start before applying to the cupid arch and apply to the outside. Then apply to the lower lip, start in the middle and apply to the outside. Polyisobutene, Caprylic/Capric Triglyceride, Diisostearyl Malate, Hydrogenated Polyisobutene, Silica Dimethyl Silylate, Pentaerythrityl Tetraisostearate, Phenoxyethanol, Argania Spinosa Kernel Oil, Flavor (Aroma), Octyldodecanol, Tocopheryl Acetate, Irvingia Gabonensis Kernel Butter, Hydrogenated Coco-Glycerides, Tocopherol, Calcium Sodium Borosilicate, Titanium Dioxide (CI 77891).